Autumn has begun with a temperature decrease and chaging consequently the nature of the most popular vacation getaways. 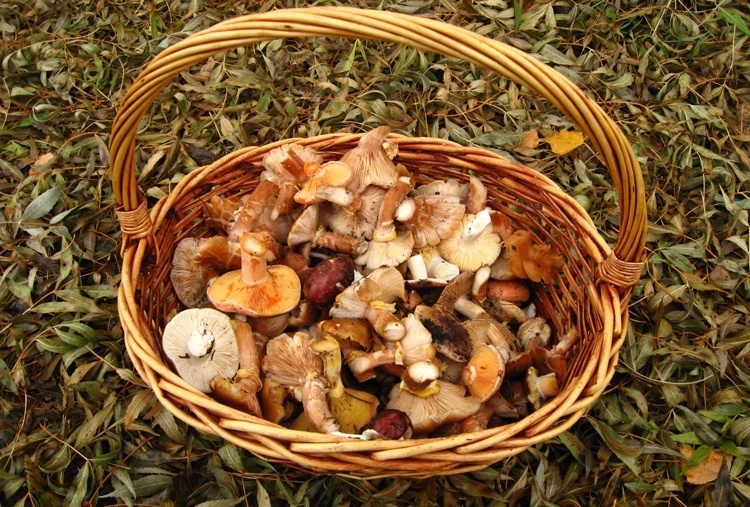 The tourism of sun and beach gives way to a kind of tourism marked by the contact with the environment and the harvest of this season’s typical products such as mushrooms and chestnuts. Green Spain, and more specifically Galicia, has a landscape marked by the foliage of its forests and the variety of plant species. For this reason, it is best suited for those looking to spend their free time in a relaxing and familiar environment destination. If to all this is added a set of activities and dreamed infrastructures for young and old people, the result is the plan that we propose today. 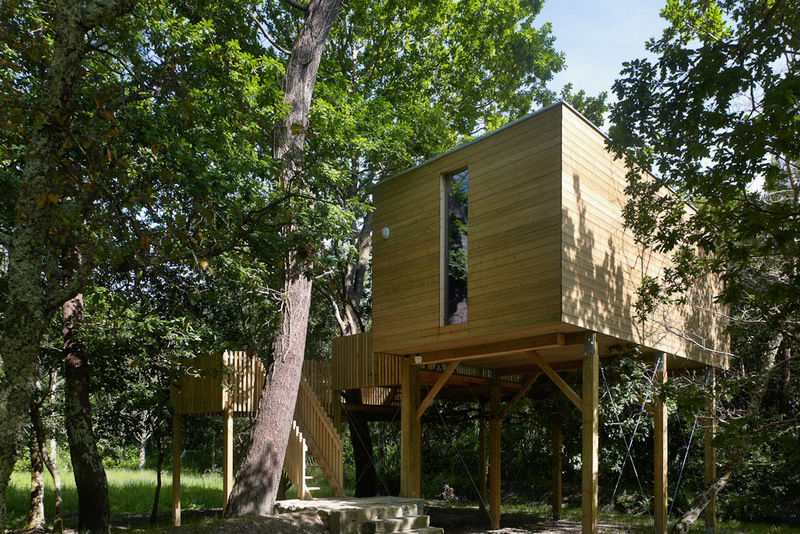 Who has not dreamed of having his/her own child Treehouse? The rural tourism company “Do Artesanato” makes this possible through a sustainable architecture project dubbed Cabañas del Bosque (Forest Cabins). This initiative consists of a network of eco-buildings located in the vicinity of the town of Outes, in the region of Noia, and designed for all those who wish to enjoy an exclusive stay in a frame as characteristic as the Galician deciduous forest. The cabins, each with its own name and style, combining the charm of a rustic house located in the countryside and away from all kinds of noise, with all necessary amenities to live a unique experience. Cabañas del Bosque include, among other things, with jacuzzi, WIFI, barbecue, bring pets, medical service at close range and a fireplace that provides a nostalgic touch to the already cozy accommodations. Having described the magical Cabañas del Bosque, more than one will be displayed on his/her next getaway enjoying the splendid Galician landscape from a privileged place by the warmth of a traditional fireplace surrounded by good company. As if this were not enough, in Five Sensations we help you organize your trip by adding a series of activities that will make your stay in Outes an unforgettable experience through direct contact with the beautiful natural environment that surrounds this town of the province of A Coruña. First of all, given that the Galician autumn with its highly humid climate is a propitious time for gathering mushrooms and chestnuts, we include in your trip a tour through some of the forests most ecologically rich guided by professionals experts in this type of products that will help you expand your knowledge in the fields of mycology and botany. 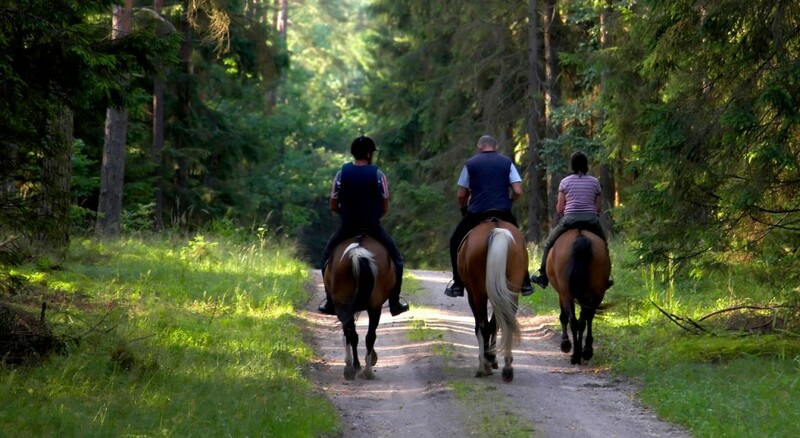 In addition to planning private lessons of the above disciplines, we give you the opportunity to supplement a stay befitting a fairy tale with mountain biking and horse riding routes in the place, where you can enjoy the impressive relief and vegetal richness from Serra de Outes. If what you want is to enjoy a maritime environment, you can choose to take boat trips on the beautiful estuary of Muros and Noia or to organize a day of fishing or a kayaking or rafting route in the vicinity of the Cabañas del Bosque. In case you feel like practice more sports activities on land, you will find particularly appealing our karting and paintball circuits and our canyoning and hiking days. Near Outes there is also the possibility to attend private classes of bungee jumping as well as a golf course conditioned for the finest visitors. And if what you love is the wildlife we ​​help you to plan your visit so you can spend some of your time observing the different species of native birds.